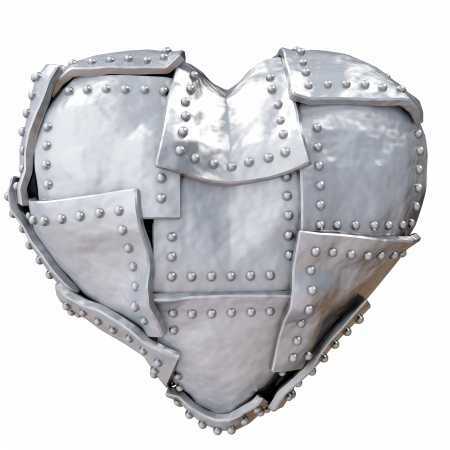 What Does It Mean To Have A Hardened Heart? There are many passages of Scripture that talk about our heart. In fact, there are over 1000 occurrences in the Bible. This article will only mention a few passages about this broad topic but I want to begin by thinking what the “heart” means to us. If you are a regular church attendee or someone that reads books dealing with spirituality you are probably very familiar with this concept. But what is the “heart” and what does it mean to have a “hard heart”? To fully understand what the Scriptures are intending, it is important to understand what the heart is both physically and then in the spiritual sense too. Sin is ultimately the cause of a hard heart. Sin often leads to pride which leads to individuals that are more interested in trusting in their own self than in putting our trust in God. This passage is a picture of pride (which means to elevate ourselves instead of elevating God) leading to a hard heart. The pride evident here had led to deception which happens when we think that we do not need God but can handle things on our own. David had been living with this sin for many months (as we know that his illegitimate son had already been born and David had married Bathsheba) but now David finally comes to see it for the sin that he committed. He finally repented (2 Samuel 12:13) and asked forgiveness from God and we can see that confession in the great chapter of Psalm 51. My point that I want us to catch is that David’s heart had grown hard from this sin and he didn’t even seem remorseful for any part of the story until God sent His prophet Nathan to confront David. That is the way that Satan tries to bring us down too. Maybe our stories are not as graphic as David and Bathsheba but Satan knows that unconfessed sin leads to broken communication with God. When we are not right with God we can easily become calloused towards sin and rebellion in our lives. That is the danger of not confessing our sins to God. This is the way to stay open to the words and leading of God the Father. When we desire to speak daily and openly with our heavenly Father. May the prayer of our heart be to walk close with God and to seek repentance and forgiveness from God daily. I encourage you as you finish reading this article to pray to God Psalms 139:23-24 and ask forgiveness for any sins that are standing between you and God. He has already paid the price for our sins, the least we can do is to ask forgiveness and a clean heart.